After a successful 2nd year we are happy to announce the 3rd Year of the Festival! 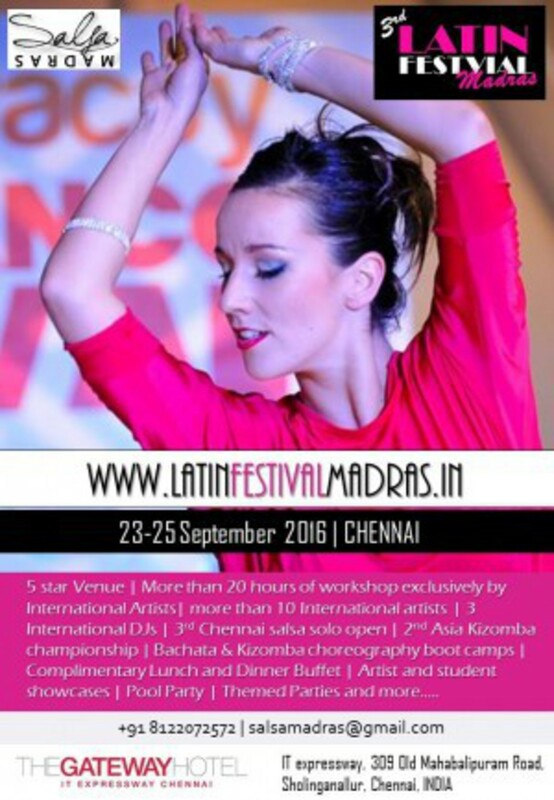 Special Bootcamps, Workshops, complimentary buffet, shows, theme parties, pool parties, surfing, getaway and 3rd Chennai Salsa Solo Open, 2nd Asia Kizomba Championship and more... Followed by an extended holiday in Pondicherry!